I don’t have much of an issue with using the App Store for the iPhone and iPad. In a way, it makes things easier and simpler for me. However, there are times when I struggle with the App Store – like today. It probably is not Apple’s problem. I actually think it’s my ISP that is to blame. Still, having the option to get content for iOS devices using only the browser is always nice. How is Google doing this? The answer is simple: Google has utilized HTML to create a web interface that is specific to iOS devices. On the upside, users of iOS devices have a little more freedom in that the App Store isn’t the only option for content. This also gives publishers or content providers more freedom in that they are not bound by the terms and conditions stipulated by Apple. They do not have to give a percentage of their profit to Apple. On the downside, Google Music Beta does not have such a huge selection of songs as of now. Of course, we can expect this to change in the very near future. Another drawback of Google Music Beta is that you cannot use the “app” to add songs. To do that, you have to use a computer. This concern is not such a big one, though. 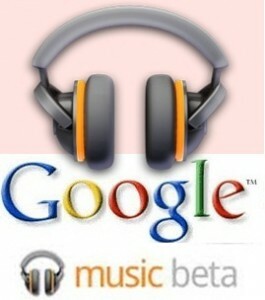 In order to access Google Music Beta, you just need to enter music.google.com on your mobile browser and enter your log in details. If you are not in the US, though, forget about it. This is what I got when I tried to access it. This move brings up a question: will Apple be able to continue its control via the App Store, or will publishers quickly move towards providing content via other means? What do you think?